﻿I saw these Prada Baroque sunglasses in passing at the mall, and now they're all I can think about. 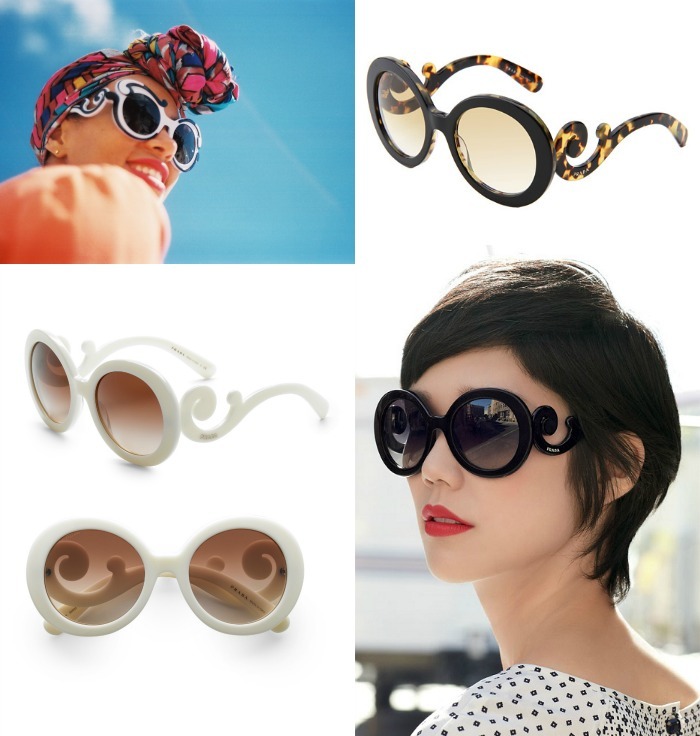 The swirl design and nice round lenses are so stunning and chic. These are definitely on the top of my summer wish list. these are beautiful! the swirl on the side is fantastic. Thank you for dropping by and for your lovely comment. I love seeing newcomers. I love the swirl at the handles of the shades. The white one is especially lovely. the white ones are simply fab!